Rare cancers collectively represent a significant fraction of all cancer diagnoses and account for a disproportional number of cancer-related deaths. This is often owing to the inadequate therapies available, a lack of knowledge of disease biology and the frequent absence of effective guidelines for treating these patient groups. The Rare Disease Oncogenomics Laboratory (RADIO Lab) has two major interests: neuroendocrine tumours and cancer of unknown primary. Neuroendocrine tumours (NETs) can arise from diverse cell types found in endocrine tissues and the diffuse neuroendocrine system. Studies by the lab are seeking to address important biological questions related to the outstanding clinical needs of NET patients. Can we predict if a patient’s disease will progress? How does it interact with the immune system and can immunotherapy be effective? Can resistance to different treatments be overcome? Cancer of unknown primary (CUP) represents approximately three per cent of cancer diagnoses and is an area of significant unmet need. Treatment can often be very difficult in the absence of a primary diagnosis, and these patients often have a median survival of only 11 months. 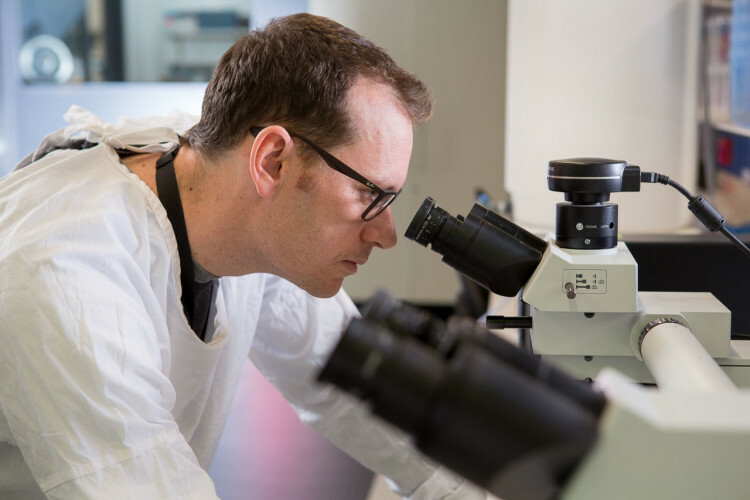 The RADIO Lab is involved with a national study – SUPER (Solving Unknown Primary CancER) – that is actively using panel DNA sequencing and gene-expression diagnostics to help discover the primary tissue of origin, direct precision genomic medicine and drive clinical trials. Dr Richard Tothill will provide an overview of the RADIO Lab and highlight some of the most exciting work currently underway.